Also, the person or people who leaves a comment along the lines of “you were a poet and didn’t even know it!” or ANY variation thereof will get a visit in the night from the vengeful poetry ninjas. That is all. Poetic detection, ban hammer of correction? True fact: The Sagan Diary was composed entirely in free verse. Wow. That is such a cool secret! Now I will have to read it. So…8000 copies makes it a best seller? What are the general guidelines for what is a best seller in long form novels, novelettes, poetry. I’ve always asuumed 100,000+. An assumption made on absolutely no foundation. Wait a sec… you don’t like Jewel’s poetry??? In the realm of poetry, yes, 8,000 copies of a work sold would be a significant amount. To give to some perspective, of the books which won the Pulitzer Prize in poetry in the last five years, at least two of them sold less than that amount. I have the original document file, yes. in an absolute complete waste of time, i achieved prestige 10, and am very near level 70, in Call of Duty Modern Warfare 2.
for those unfamiliar with CODMW2, that reflects a stupid number of hours playing the game. i generally don’t tell people about it because of how insane it is. You have the original, just think of how much you’ll make releasing the book in original poem form. Then you can train badgers to read it at selected zoos. yeah…OK, you don’t have to have the badgers reciting the poem, but it’d be Really Cool! Everyone knows badgers hate poetry. Have you considered releasing it at some point in its original form? Perhaps as an ebook only? Oh, peachy! I’d love to read it in that format. I’d love to see the Sagan Diaries in poetic form. I could totally see myself assigning both versions (or sections of both versions) in one of the classes I teach. I did not know that, but it explains a lot. Huh. I know I knew this before I read it, but that’s entirely possible because we had lunch together at ConDFW the day that I bought it and it might have come up then. Or in the Q&A that day, I really can’t recall. Wait…that wasn’t ConDFW. It was ArmadilloCon. Meh. Me no brain today. Brain bad. alkali@3: Not that he needs me to, but I can vouch for it. 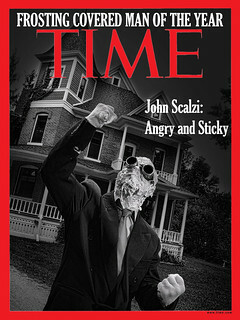 I visited Scalzi in December of 2006 to interview him for a national magazine, and nascent TSD was there (on his then brand new portrait-oriented 24″ monitor what blew up a few weeks ago) in all its versified and enjambmentated glory. Also, his toe hurt. That sounds like it was a lot of work to write. Would really like to read the free verse version of TSD. But your feet show it! Were the voice actresses for the audio book informed of this fact before they read it? You can read my mind as well?!!! COOL! Must go reread it…. Looks like I wasn’t far off. The first line of the review I wrote back in 2007 read “This is perhaps closer to being a prose poem rather than a story”. I can understand why you would. The only thing in recent memory that was reasonably successful was Sharp Teeth by Toby Barlow and I was only able to get one person to read it. Oooo, I love poetry. So add my vote to your fans who wish to read the original free verse version. Only make it a treebook. I hate reading digital books. I thought of it as poetry in prose, like Oscar Wilde’s parable-like little stories, only longer and less pretentious-sounding, but just as lovely to hear in my head while reading it. Nicely done. 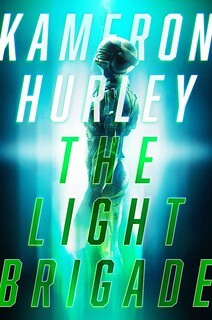 Haven’t read it, but have listened to the free audio book and sections did indeed come across a free form poetry. And it’s an interesting look at the inner thoughts of Jane. Yeah, it was pretty obvious when I read it, even not knowing in advance. It is my favourite of your works so far. Next printing you should put it back in verse. Just becuase. I agree with others. There was something about the audio version that sounded different. At the time, I chalked it up to your effort to write a story from a woman’s point of view. Did writing the story as poetry help you find the female voice you were looking for? Um…actually, you did tell us that it was free verse before we recorded. I’ll just say that the prologue, which was not written in free verse, was substantially harder to read than the other chapters. I bow to your memory of the event, Mary. I don’t doubt your memory of it is better than mine. And once again I’ll note the fabulous job every did, but you in particular, in reading the piece. ha! I remember that book from Jewel. We had a copy of it at a campout in Bryce Canyon. We would read a poem, tear the page out, and burn it as it deserved. I do this all the time and nobody ever notices, not even when it rhymes and scans. Now I know you do it too, I will define it as a perfectly normal thing that lots of people do! Viadd at #36 wins today’s geeky poetry award. After seeing a reference to “Old Man’s War” on Neal Asher’s blog and thinking that it sounded like something I’d enjoy, I’ve read the whole sequence in the past few weeks, finishing up today with “The Sagan Diary.” I’ve tremendously enjoyed the series, and look forward to reading your other books (“The Android’s Dream” is waiting on my kitchen table). 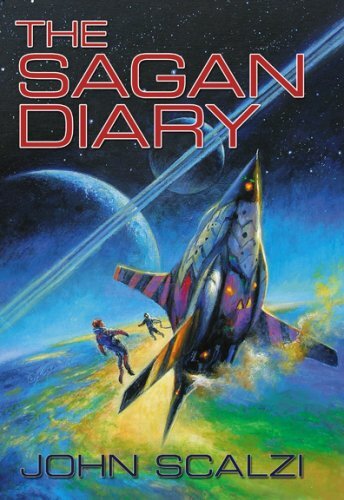 I was profoundly moved by “The Sagan Diary,” and to be honest that’s not what I was expecting when I picked up the book. I find it easy to believe that it was conceived in verse rather than prose. Thank you for this beautiful piece.